Healthy snacks can be delicious! 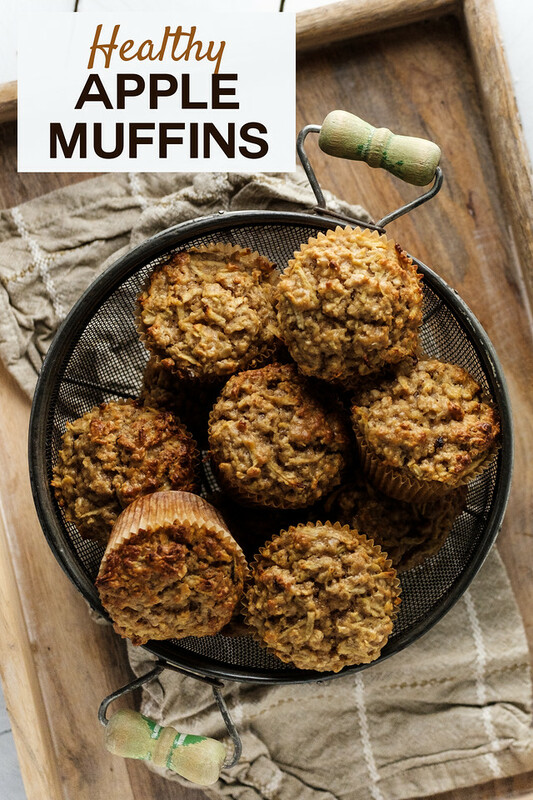 Just try these Healthy Apple Muffins with Oats. They are perfect for snacking, parties, or even healthy tailgating treats! Long time readers know that I constantly say that I don’t bake. That the only thing I bake is biscotti, like these Chocolate Cherry Biscotti, Pumpkin Pie Biscotti and Almond Lavender Biscotti. I like baking biscotti because it’s almost fool proof. It doesn’t have to rise or stay moist. It doesn’t even have to look all the pretty. Lately though I’ve fallen for muffins. It turns out muffins are pretty easy too. I mentioned on this Broccoli Salad with Bacon and Cranberries, that I have been cooking from Cooking Light Recipes lately. I’ve slowly started working my way through their muffins, especially ones that I can make a little bit healthier. I found these Healthy Apple Muffins in the 2003 May issue. 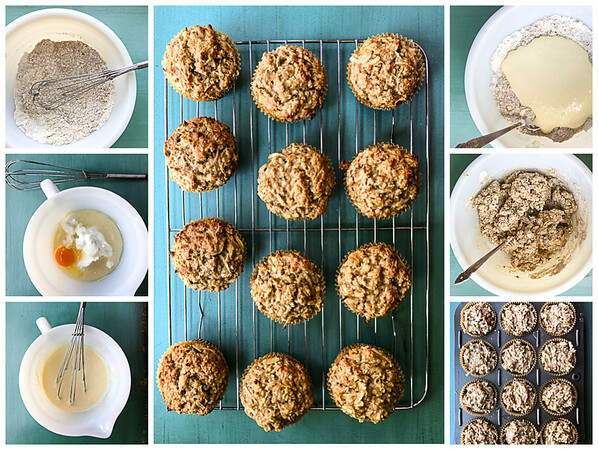 These muffins were already pretty healthy with apples, oats and yogurt. I bumped it up a little more by replacing some of the white flour with whole wheat pastry flour. That’s my favorite way to bump up fiber and nutrients! You can see why I love making muffins, it’s so easy. Combine wet ingredients in a batter bowl. Fold in extras – in this case shredded apple. Put in paper lined muffin tins. 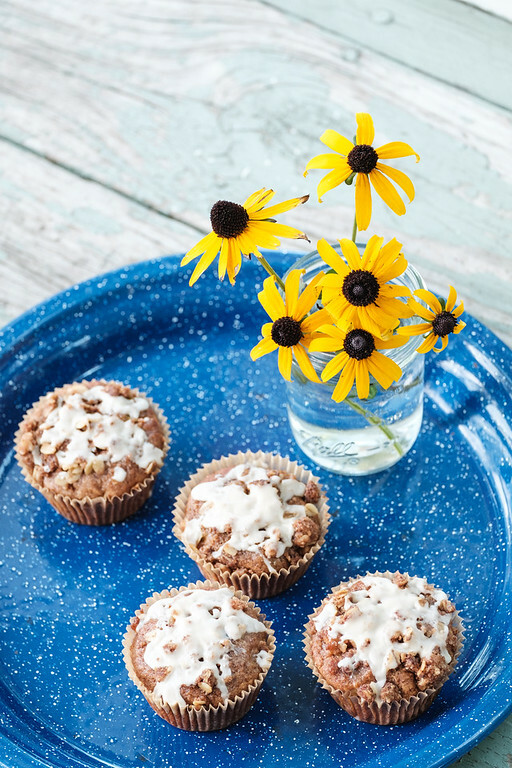 Everyone loves these Healthy Apple Streusel Muffins with Maple Glaze! 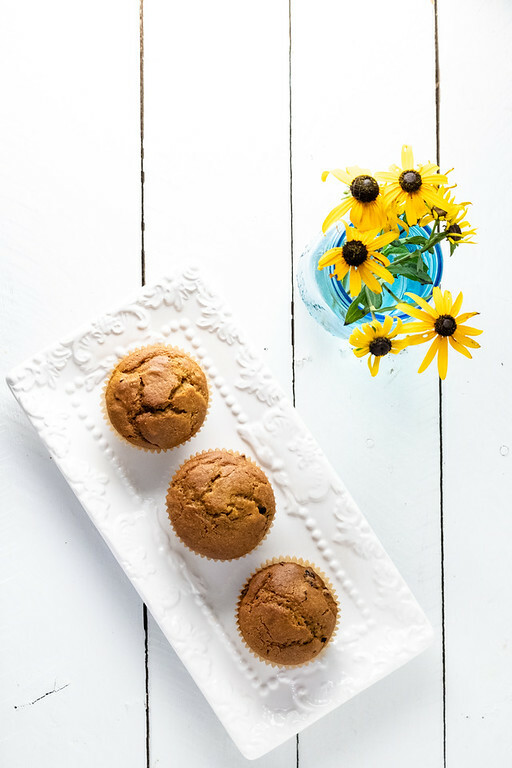 Stock up on canned pumpkin so you can make these Cranberry Pumpkin Muffins all year round! 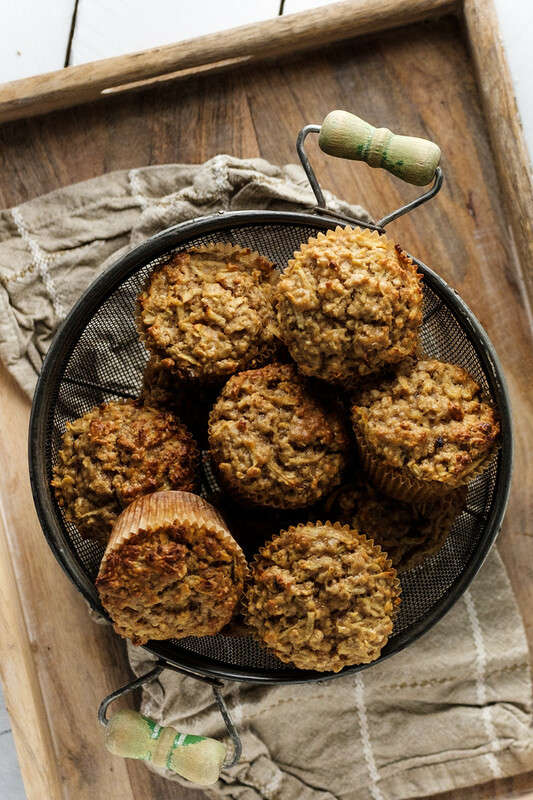 Everyone loves this Healthy Apple Muffins with Oats. Shredded apples makes them so moist! Place apples on a paper towel and squeeze out some of the excess moisture. Spoon flours into dry measuring cups and level with a knife. Add to medium bowl. Add oats, brown sugar, baking powder, baking soda, salt, and cinnamon. Whisk to combine. Make a well in the center. In another bowl, combine milk, oil, vanilla, yogurt and egg. Whisk. Add egg mixture to flour mixture, stirring just to combine. Stir in apples. Fill muffin pan with liners or spray with cooking spray. Spoon batter in to 12 muffin cups. Bake for 20 minutes or until they spring back when touched lightly in the center. Remove from baking pan and cool on wire rack. Note - this recipe has been tested with both low fat and full fat dairy. Both work. If you want lower calories, use the lower fat varieties. Oh WOW! 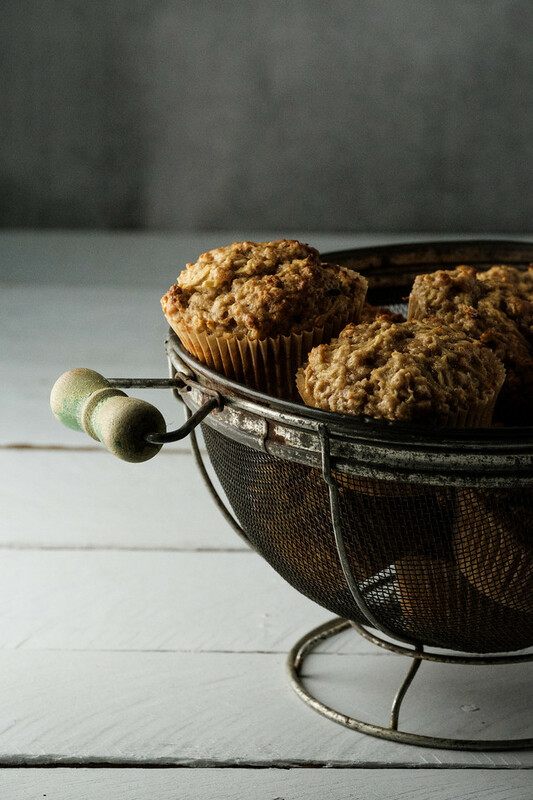 I’ve been a muffin lover for many years – especially if they’re healthy. These look like they have great texture. A must make for me. So glad you shared. They are good and I love that they’re healthy too! I seriously love a good healthy muffin recipe, especially if it has apples in it! These look great for a quick breakfast or even a snack to send to school!!! They would be perfect for that! I am so excited I found this recipe! My boys were just asking for apple muffins and I wanted a healthier alternative for them. Thank you! These muffins look so good! Perfect for mornings with coffee or an afternoon treat. These would be a perfect addition to a Sunday brunch! These sound great!